Earlier this year, the Topps trading card company introduced a new program called "TOPPS NOW" to commemorate baseball events as soon as they happen. Imagine your favorite player throwing a no-hitter, and then getting a card of that special moment the very next day! 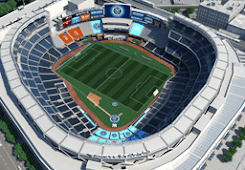 Starting April 4, baseball fans everywhere will get the opportunity to do so. The Topps Company is proud to introduce TOPPS NOWtm, a Topps.com-exclusive product that will depict the greatest moments and milestones from the 2016 Major League Baseball season almost as soon as they happen. The physical cards will be available the very next day to purchase through Topps.com, but for just 24 hours, and will not be available for purchase again. 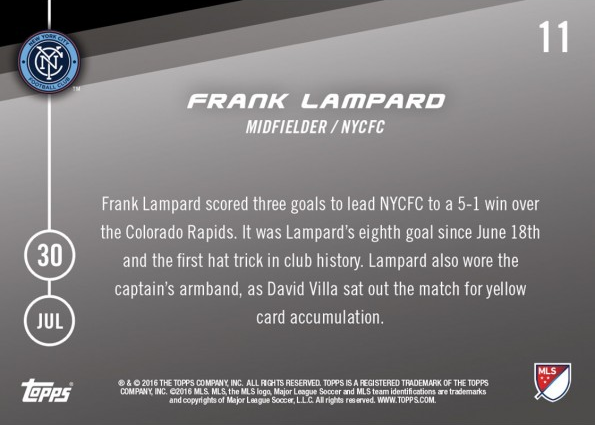 No longer limiting it to America's Pastime, Topps is right now offering a card celebrating Frank Lampard's hat trick against Colorado! 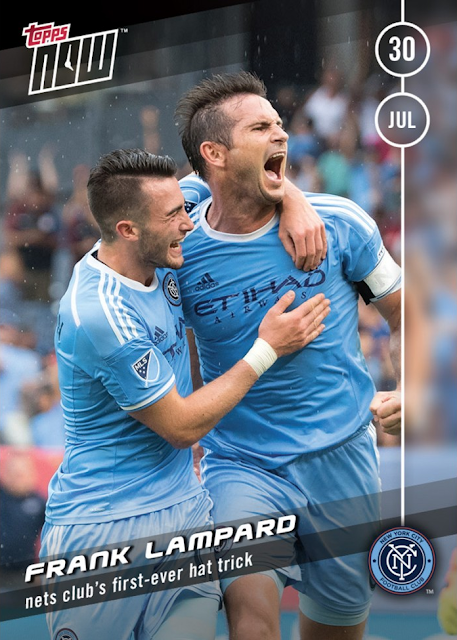 If you want one, head over to the Topps site now - the 24 hours expires today at 2:00 pm Eastern.